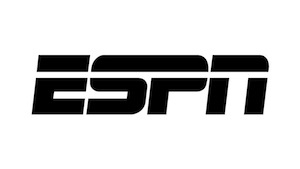 Everyone is busy talking about Microsoft Kinect (the project formerly known as Natal), but to me, some much bigger news just dropped at E3 from Microsoft: ESPN live sports access. Simply put: this was the only thing holding me back from completely canceling my cable subscription. As soon as this goes live, I’m done with cable forever. No, this live sporting access won’t be entirely free, but it’s one hell of a deal. You simply have be an Xbox Live Gold member (about $50 a year), and you’ll get access to over 3,500 live events a year. In HD. Did I mention it was $50 a year? My cable bill is currently double that — a month. Content includes college basketball, college football, soccer, MLB and NBA amongst others. It’s hard to overstate just how big this news is for people fed up for cable. A little over a year ago I tried to cancel my cable after being fed up with Comcast’s sub-par (a nice way of saying it) service and absurd prices. I was fine using only my Xbox 360, Apple TV, and computer for all my content for several months. One thing I severely missed though was live sports. As crazy as it sounds, there’s only so many times you can drag yourself to a bar on a weeknight to watch every game you want to see. So when I moved a few months ago, I signed up for cable again (this time without Comcast, thankfully). Once again, I find the only thing I regularly watch on cable is live sports — so I’m effectively paying $100 a month for that privilege since the cable companies still refuse to do a-la-carte packages where you can choose only the channels you want. With this new Xbox Live ESPN service, I can officially cancel cable — and never look back. One thing not mentioned in the announcement was the biggest sports league in the U.S.: the NFL. Still, if I only have to drag myself to bars to watch those games, I’ll be a happy camper. Back in December, when it looked like Apple was on the verge of talking some of the television networks into doing subscription-based TV packages through iTunes, I wrote that Apple may be on the verge of kneecapping the cable industry. Those deals have yet to come to fruition. And so their rival Microsoft beat them to the knee bashing. As long as I can throw that crappy cable box and its piece of garbage remote out the window, I don’t care who destroys big cable’s monopoly, I just care that it’s done.